Please check out the website if you haven’t already done so. You’ll see how our whole set-up has been designed to minimise operating costs and maximise the funds – and energies – for footpath improvements. We are also pleased to say that at the end of our first reporting period on 31st March, the CWA has raised nearly £2000 from 35 memberships. We are also very grateful for donations of over £1200. This gives us more than £3000 which is available for improvement projects on the Cotswold Way and the other trails we support. We thank you all for your support. 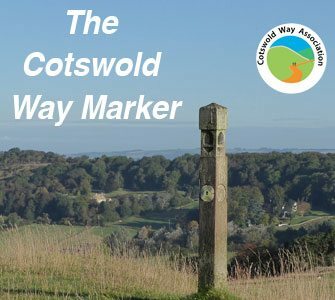 You can expect Cotswold WayMarker emails from time to time about our projects and matters of interest related to the Cotswold Way and our other trails. If you’d prefer not to receive them, simply tick the unsubscribe link at the end. Looking forward to feedback and ideas on how we can do even more to support our much loved trails.